The country’s top trucking regulator is scheduled to host its annual policy review session at the Transportation Research Board’s annual meeting Jan. 15, the agency announced this week. The TRB session will aim to outline safety activities and priorities as well as crash prediction models, trends, research initiatives, and updates regarding automated commercial motor vehicles and platooning systems, the Federal Motor Carrier Safety Administration indicated. Jeffrey Loftus with FMCSA’s technology division will be among the presenters, according to TRB’s agenda online. Key issues affecting trucking’s daily operations pertain to a shortage of drivers and the retention of the workforce. Also, allowable hours-of-service policies, highway parking and the requirement of electronic logging devices that record drive times are areas of concern, according to a report by the American Transportation Research Institute unveiled this fall. 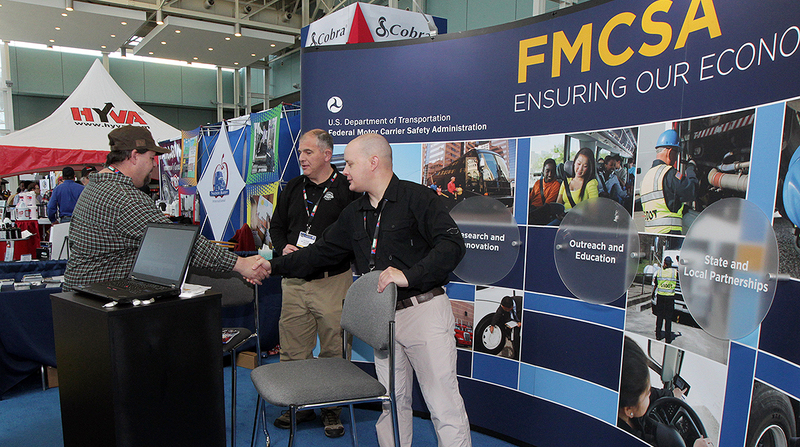 Besides FMCSA, the annual meeting’s officers will recognize the contributions of former Transportation Secretary Mary Peters during the Chair’s Luncheon on Jan. 16. Peters will be honored with the Frank Turner Medal for Lifetime Achievement in Transportation. She served under former President George W. Bush from 2006 to 2009. The 98th TRB is scheduled for Jan. 13-17 at the Walter E. Washington Convention Center in Washington.